Eccentric filmmaker Ram Gopal Varma’s upcoming multilingual film, Killing Veerapan, is in its post production phase. 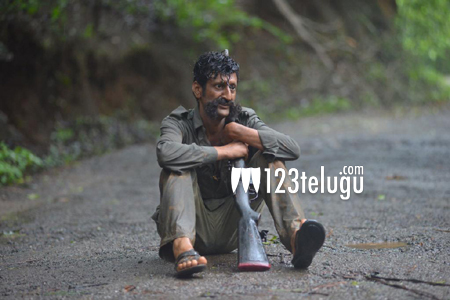 Starring Kannada actor Shivaraj Kumar in the lead role, the film is based on the deadly encounter which led to the killing of the notorious smuggler Veerappan. As per the latest update, the makers are planning to release the film in the first week of November. The audio will be unveiled in the third week of October. Delhi based theater artist named Sandeep Bhardwaj plays the Veerappan’s role in the film. The film will simultaneously release in Telugu, Tamil and Kannada.